In Winkelmatten, walkers still enjoy a beautiful, clear view of the distant Matterhorn. 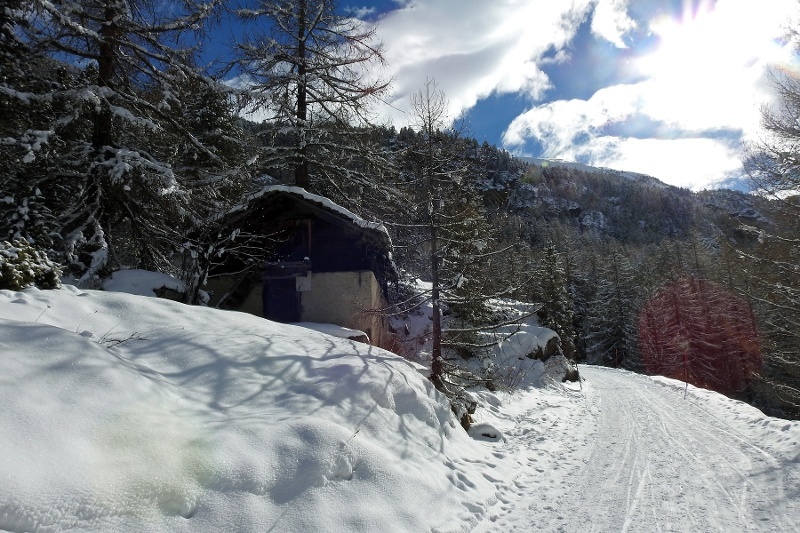 Soon the trail leads over snowy expanses and past small hamlets and agricultural buildings. 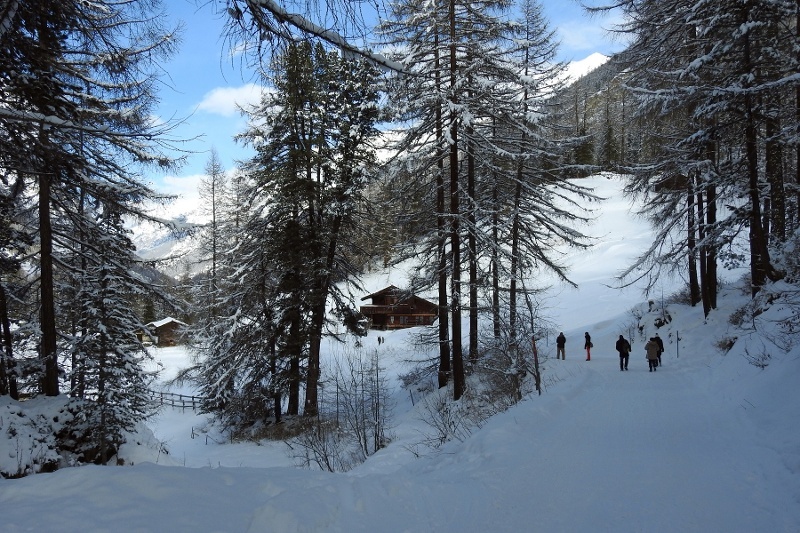 It then climbs, sometimes steeply, at others more gently, before plunging into the romantic mountain forest. A glance backwards makes for quite a surprise: this really has been quite a climb! At Schweigmatten, a small barn stands on top of a big rock split in two, looking out over a wide snowy expanse. It’s a scene from another era, and with luck walkers can photograph it from the path, free from footprints in the snow or other human traces: a window on days gone by. 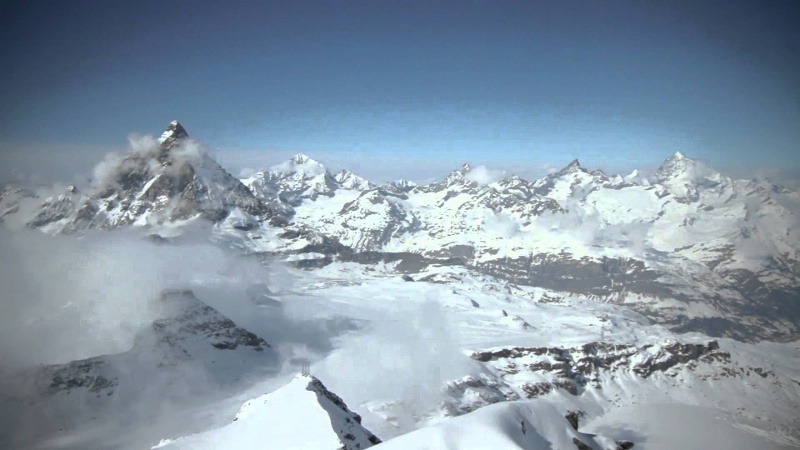 When you take the road from the Winkelmatten quartier in the direction of Furi, you will see the snow-covered trees, deep blue sky and suddenly in their midst, the most famous sharp-pointed rock in the world: the Matterhorn.